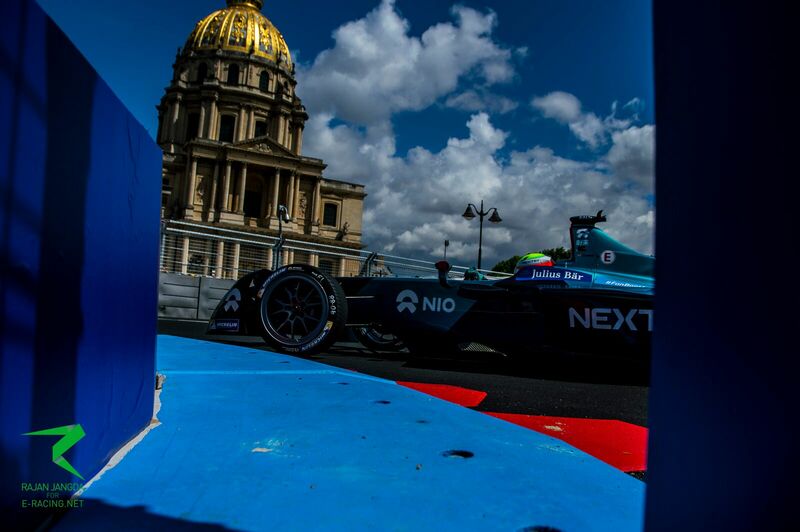 In his latest column for e-racing.net, NextEV NIO driver Oliver Turvey talks about the city of Paris, the ePrix in which he reach the Super Pole once again but had to settle for P12 following a grid penalty. Often regarded as the birthplace of motorsport, Paris has a lot to offer for fans and driver alike, with the Eiffel Tower and excellent French cuisine on offer, something which Turvey hoped he had more time to take in away from the track. “It’s a fantastic event! 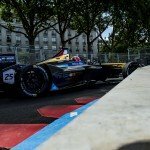 I think it’s one of the most central Formula E races, held right in the very middle of Paris with the Eiffel Tower in the background. It’s a really special place to have a race and it’s great to bring a new, futuristic series of motorsport to Paris to compliment the long history of French motorsport. At the track itself, located in the Les Invalides complex within the centre of Paris, Turvey noted the undulating nature of the circuit which makes passing a real challenge, but nonetheless is a memorable day in the French capital. “Paris is one of the most challenging circuits on the calendar. It’s very bumpy, a really technical circuit so it’s a tough lap. For the races, it’s certainly very tricky to overtake because it’s so narrow and there aren’t many opportunities to do so. 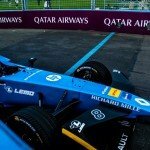 The Englishman once again showed his natural speed at the wheel of a Formula E car as he reached Super Pole for the fourth time in six races, but on this occasion was unable to make the most of it as he received a ten place grid drop for a technical infringement prior to qualifying. “I was happy with qualifying. We ended up P3 after the qualifying groups and I was happy with my lap. I think Super Pole was a bit more tricky with the braking but we ended up fourth, qualifying on the second row. Unfortunately, we had a ten-place grid penalty because of a powertrain change that we had to make this weekend. The race itself proved to be a tricky one for Turvey, not only because of traffic on the opening lap but also hard luck with the timing of the Full Course Yellow following the collision between Lucas di Grassi and Antonio Felix da Costa, which left the 30-year-old to wonder what might have been. “The start of the race was quite tricky. On the first lap I seemed to end up in the wrong position at the wrong time, making it a really difficult first lap. However, after that I think we had good pace and I was saving quite a lot of energy keeping with the guys ahead. Despite the hardship endured in Paris, Turvey remains positive about his pace and believes the only thing left to do to score a strong race finish is to have a flawless weekend. “It’s been a positive start to the season and we’ve had some strong qualifying performances. We’ve been on the front row at two of the races, have made Super Pole four times out of six races and got a pole position in Mexico. So we’ve had the pace and I think we’ve shown that we’re one of the quickest out there so that’s really positive. “We’ve had issues during some of the races which is really unfortunate and a real shame as I think we could have scored a lot more points than where we are at the minute. I think we need to focus on having a smooth race and getting on top of those issues. Topher is an experienced and passionate Motorsport journalist with Formula E, Formula 1, GP2/F2, GP3 and IndyCar all on his resume. When he isn't at the trackside you can find him furthering his own capabilities and knowledge through his endless search for original ideas and material. Also plays league pool.